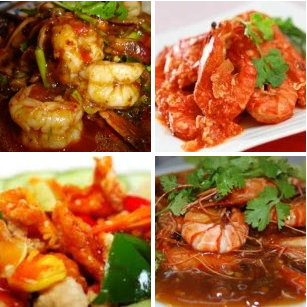 Shrimp Recipe Sweet Acid and How to Make it .Occasion, we will be a little about one of the recipes shrimp are quite popular is sweet and sour shrimp. With the nutrients and flavor of the meat is tasty, the shrimp become one of the dishes that is so loved by the people of Indonesia. How to cook it too easy so variant shrimp recipe a lot of numbers. Now we will study this time how to make shrimp with sweet and sour seasoning mixture. cooking oil for sauteing taste. First you wash first clean the shrimp and rough skin, after prawns washed clean and then you flush the shrimp with lime juice and you let stand for five minutes. While you wait for the shrimp are being ignored, you set up a frying pan and heat your cooking oil and saute garlic and onion until fragrant using a fairly large fire. After that you enter the shrimp, and you stir up quite quickly until prawns change color to reddish. Then you add the tomato sauce, salt, sugar, pepper powder, and Worcestershire sauce, stir until everything is well blended. Once everything is mixed evenly, and then you add the sliced ​​leeks and stir again until blended. 0 Komentar Untuk "Shrimp Recipe Sweet Acid and How to Make it"